When I grow up (assuming I do some day), I want to be able to draw and make art like you! Love the daisies and the stripe ribbon in the Ball jar - and I love your little photo bomber too! LOVE your daisies. You are so talented. I loved the daffodils and I love the daisies too. It's beautiful. 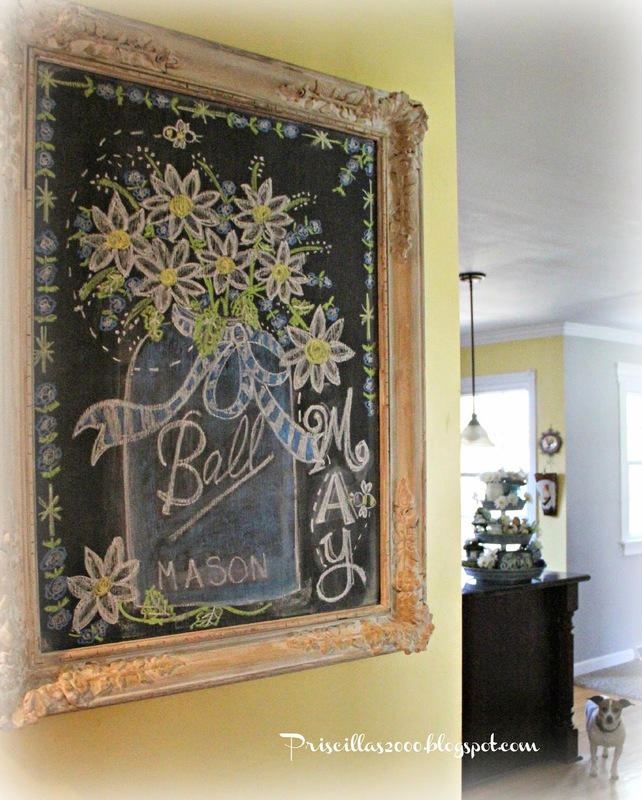 I tried my own version and a chalkboard I made any my colors don't seem as vibrant as yours. 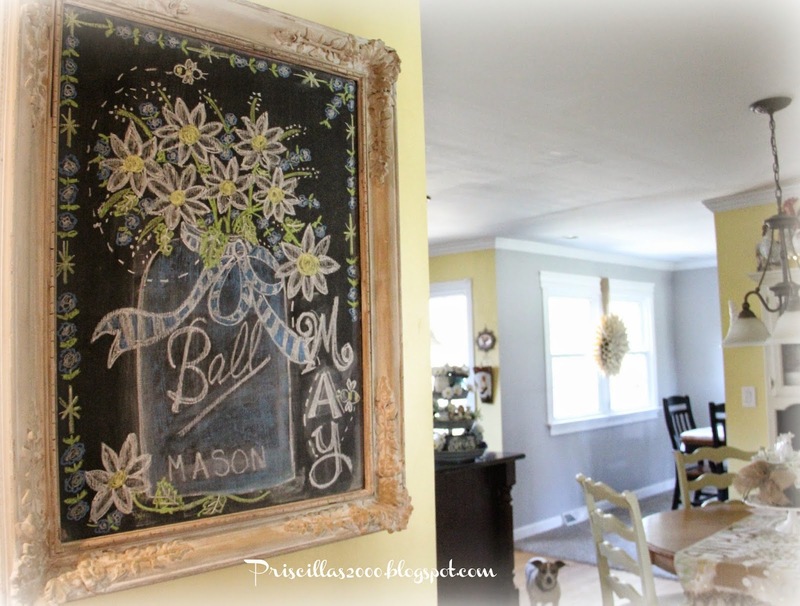 Do you use regular blackboard chalk? Blue, yellow, and white is my favorite color combo, Priscilla, so you know I like this one :) Love the border on it, too! 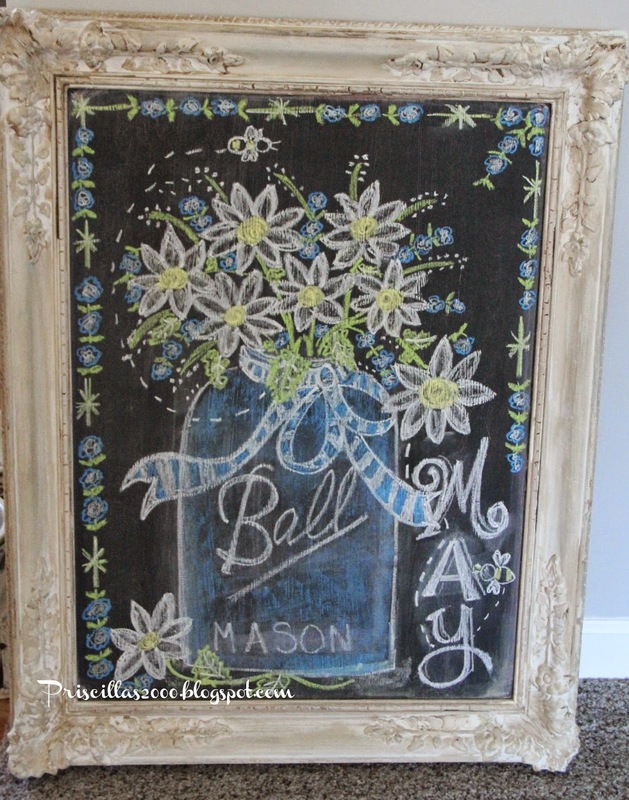 I always enjoy seeing what you do with your chalk board! I am not even half as talented with mine. Thanx for partying at THT! As I have said, you are quite the artist!!!! Very cute!! I love the borders you do around the outside. Fabulous job! 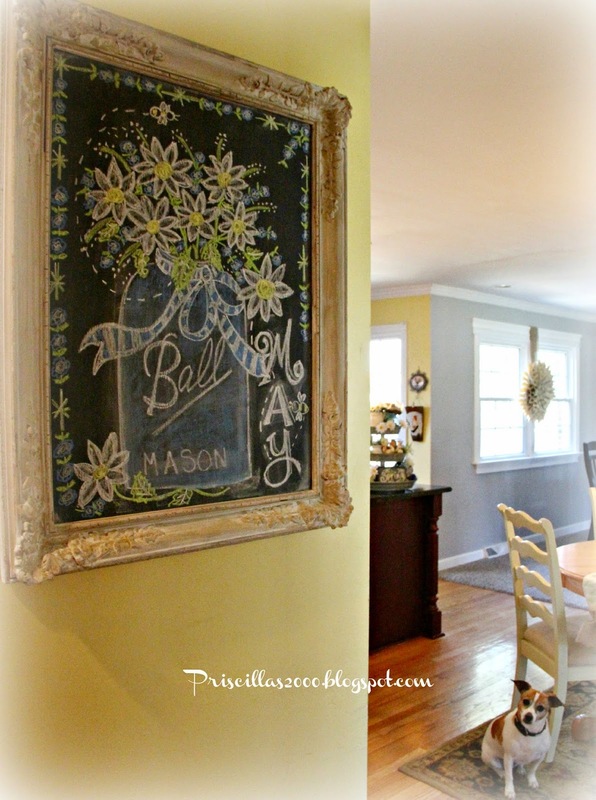 Love your chalkboard as always! Daisies are my favorite flower too. I just don't know how you have the heart to erase any of them!!! 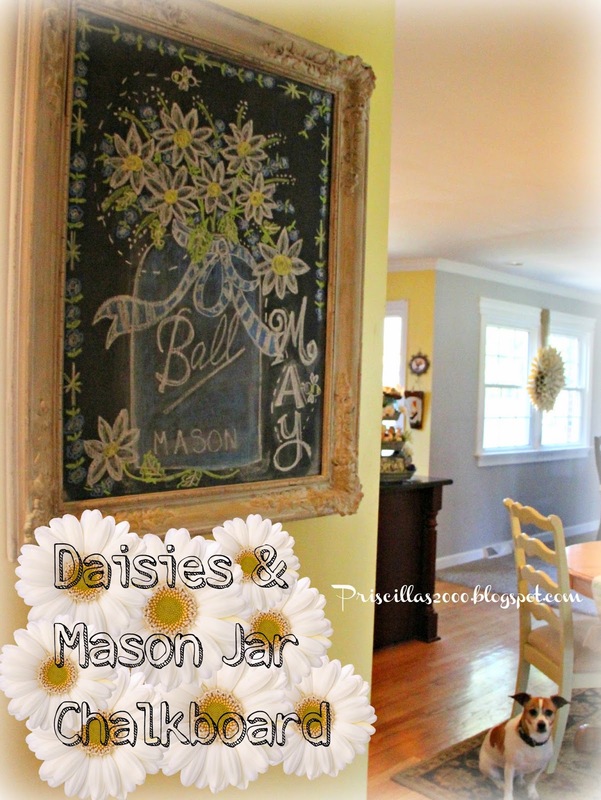 I love Daisies and will be decorating with them soon. May need to try this. Gorgeous job! 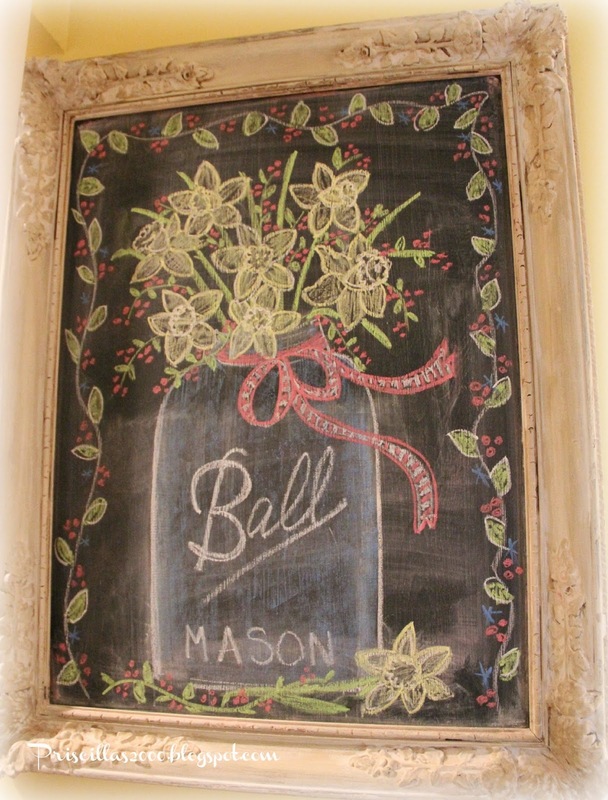 There you go again with the prettiest chalkboard ever!